If history has taught us anything - and despite Michael Gove's best efforts, occasionally it does - it's that the transition from TV sitcom to full-blown movie is not an easy one. 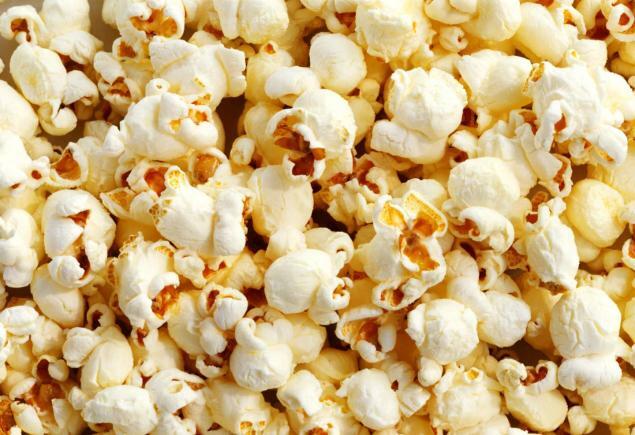 So how, then, would Norfolk's most famous son (after Lord Nelson and Trisha) fare switching from the small screen to the multiplex (or, in my case, the wonderfully cosy Cubby Broccoli cinema at the National Media Museum)? Let's start with the good news. It's not a Lemon. Far from it. For a start, it's funny. And it doesn't rely on endless celebrity cameos to cover over the fact it's a giant turd of a film. No, it's definitely not that. But, somehow, it's not quite the film I was hoping for. 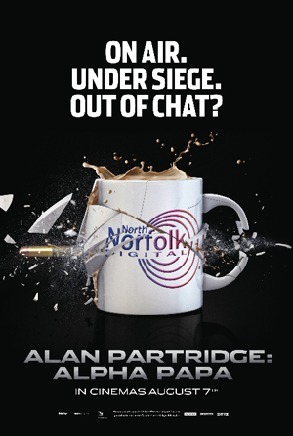 The premise is good - a disgruntled former DJ on the now rebranded Shape (previously North Norfolk Digital) has decided to show the corporate owners what he thinks of their decision by taking over the station in an armed siege. Once the police are involved, he'll only negotiate through the one man he trusts to do the right thing and be honest and straight with him. Alan Partridge. Now, if you've never seen Steve Coogan's most famous creation before, this isn't the place to start. Built entirely on presumed knowledge, no time is given to setting up the characters. This isn't a problem if you're familiar with all of Alan's foibles - but if you're coming in to this cold, it could cause you a problem. For fans, however, things play pretty much as you'd expect, with Alan getting himself into more and more awkward and absurd situations of his own making. And that's good. For fans, that's what you want - and there are a lot. Coogan's physical acting comes into its own in places, and his portrayal of a man ill-at-ease in his own skin has never been better. The character of Lynn (played as ever by Felicity Montagu), his much put-upon personal assistant, seems a little flat. Nothing to do with Motagu's performance, but there's something missing in the script. It's as if they knew Lynn had to be in it, but didn't know what part she had to play. As a result, she seems somewhat left in the shadows. It's the same with Michael, once the doorman at the hotel where Alan was forced to live back in the '90s TV show, now the security man at North Norfolk Digital as was. Again, there's nothing wrong with the performance - Simon Greenall's played this part long enough to know what he's doing - but if you took the character out, you wouldn't miss him. Which is a shame. Having included him, we needed him to be more involved. As a fan of the TV show, I needed to know how he got the job - especially given how Alan was never that fond of him. As with Lynn's character, it feels like they new they wanted him in it (he's been a stalwart over the years) but didn't know what to do with him. The same can't be said of Tim Keys, a recent addition to the Partridge universe playing Simon - the straight man to Alan's wacky radio antics. He's in the action, and rightly so, but should have been much more than the victim of the piece. Yes, some bits where funny, but I wanted more of him dammit. Now, there are a lot of negatives, but there are positives too. Coogan's on top form, and the assembled cast all put in fine performances, and many of the scenes are classic Partridge - but it just seems to fall short. Alan's world was never one of huge laughs, it always mined a rich seam in underplayed, almost cringey moments where Alan was ill at ease - putting those around him in the same situation. And that's a good trick which works well in half-hour bursts. Over 90 minutes, it wears thin. There are parallels to be made between Alpha Papa and The World's End. Both have a central conceit of trying to gain empathy (if not sympathy) for a predominately unlikeable man - but where Simon Pegg's Gary King had an army of people around him with whom you could empathise, Alan's on his own. The one person who does get you, and you do really care about, is Pat (excellently portrayed by Colm Meany) - the old man of the airwaves being slung on the scrapheap. Yes, he may be holding a gun to Simon's head (sometimes without using his hands), yes he may be holding people hostage, but you can understand why and you find yourself rooting for him throughout the film. And then there's the music, the use of which is nothing short of genius. In a recent Wittertainment interview co-writer/producer Armando Iannucci was saying how much thought Coogan put into the songs they chose - and it shows. Some just set the right tone, but most use the lyrics to underline the story. And they're all songs played on low-rent local radio. It's perfect. The really weird thing about Alan Partridge: Alpha Papa is this: Driving home, it was bugging me as to what was wrong with it. Why hadn't I enjoyed it more? Why hadn't I laughed more? And yet, writing this now, I'm beginning to think I enjoyed it more than I thought. Granted, that doesn't make a lot of sense, but the more I think back to it, reflecting on what I watched and how it was made (good direction by Declan Lowney, who's also making the jump from the small screen), the more I'm finding bits I actually really liked. The ending's wrong - it has a great ending, but they add another five minutes, which is a shame - but there are some classic Partridge moments here. And you can't fault Coogan. It's certainly not a Lemon. Great review again and I think you've got it spot on - today I'm thinking I enjoyed the film a lot more than I did yesterday when I first left the cinema. I still think it was flawed and not the masterpiece I was hoping for, but its still inspiring random giggles today which can only be a good thing!